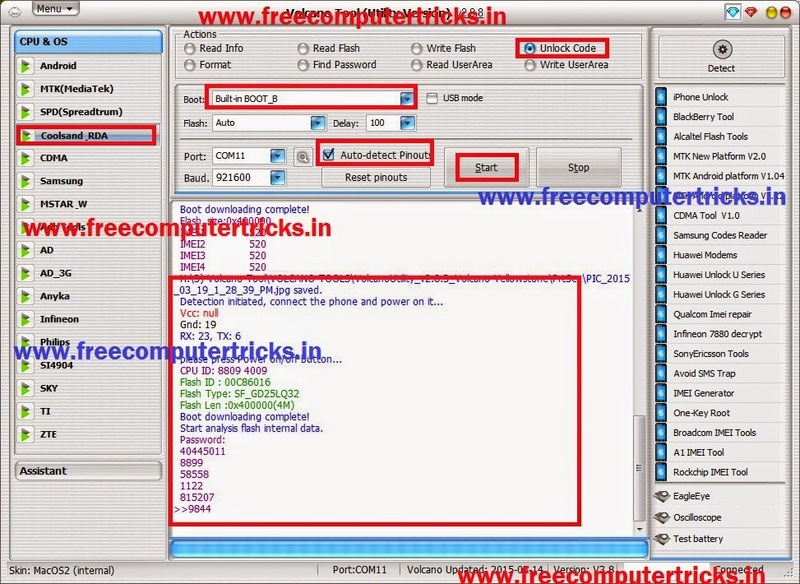 PEL C2 China mobile phone has Coolsand RDA CPU and can be read the unlock code with Volcano Tool. The below is the complete procedure how you can read Use code of PEL C2 Using Volcano Utility. PEL C2 How to flash the phone with Volcano Box. Start analysis flash internal data.